skurfer.com :: Down with P.E. Take a look at this crappy page I made for a homework assignment in college (1997). I have left its original crappiness unmolested for maximum authenticity. Note the images of Chuck, Flav and Terminator X. I took those images and cut the guys out of the background myself, then added the solid background color and the white glow around each of them. Notice any familiar images in the mix? Yeah, apparently, someone found the images I'd done and liked them enough to use them on the site. Translation: I'm the coolest person you know. 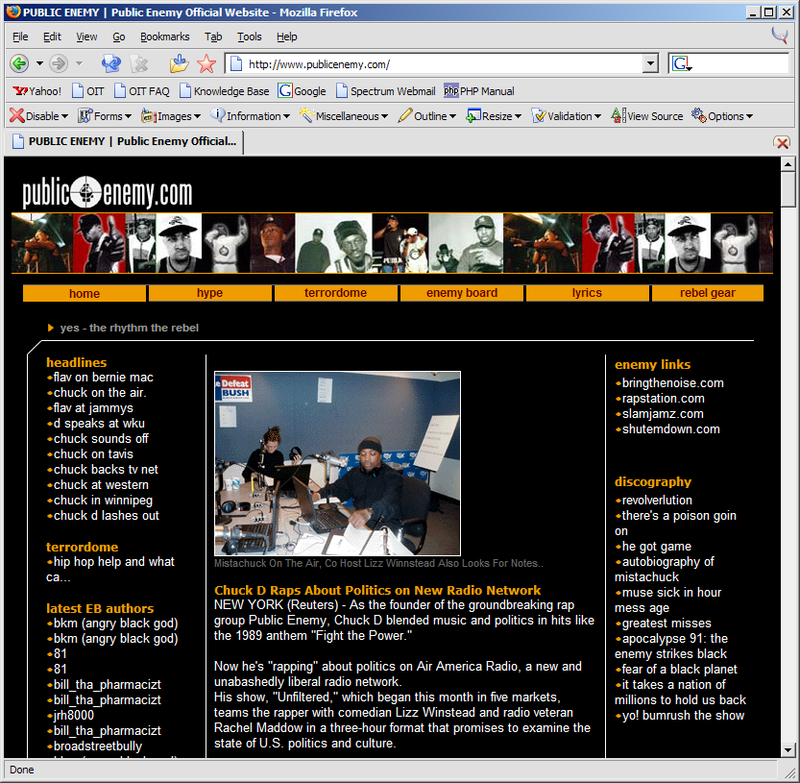 In the event that they redesign the page, here is a screenshot of the main page from April 23, 2004 so you can see what I'm talking about.